Hey everyone! 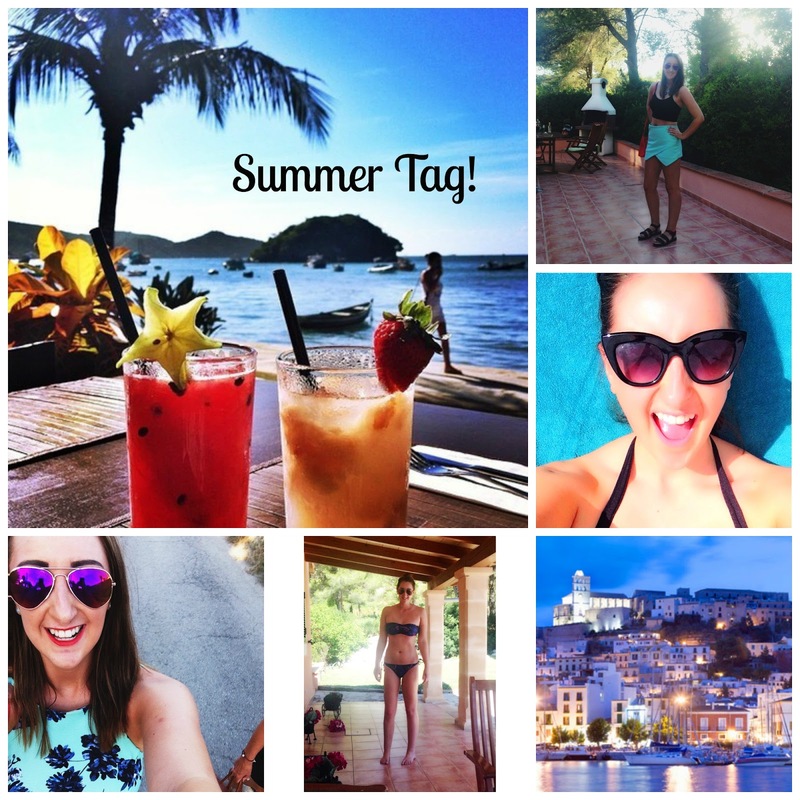 Today I thought I would do a fun little tag post which is The Summer Tag. I've done a few tags before which you can find HERE, HERE and HERE, so I thought I'd do this one too! I haven't been tagged by anybody in particular to do this but I hope you enjoy it nonetheless and feel free to all do it yourselves too! 1. What is your favourite thing about Summer? SUNSHINE & having a tan. 2. Do you have a favourite summer drink? I love Mojito's because they are fresh but I also love a good glass of Coca Cola from the glass bottle (I don't know why but it tastes so much nicer from a glass bottle). 3. Is there a special place you like to visit each summer? 4. What's your favourite make up look for summer? Definitely the glowy look. I suffer with dry skin anyway and much prefer having dewy make up with a strong highlight of course! Oooo, that's actually a tough one. I would always have said dresses hands down in previous years but this last year I've loved wearing skirts with crop tops, so I'd probably say skirts. I definitely prefer holidays but I always loved going to Glastonbury too. 7. What is your signature summer hairstyle? Literally just leaving it to do nothing. I can never really be arsed to sort my hair out on holiday so I tend to just go in the pool and then let it dry! 8. What is your signature summer scent? I love Marc Jacobs Daisy Dream or a Ghost scent in the orange bottle. Don't get me wrong I love the beach but the pool is definitely my favourite. I love how you can just relax by yourself with no distractions!! Seafood. I love a good Paella :) I do loved BBQ's though so it's a tough call. 11. Do you tan or burn? I burn really easily. I wish that I tanned but it just never really happens!! It's a hard choice because every year there are so many new songs out all the time.